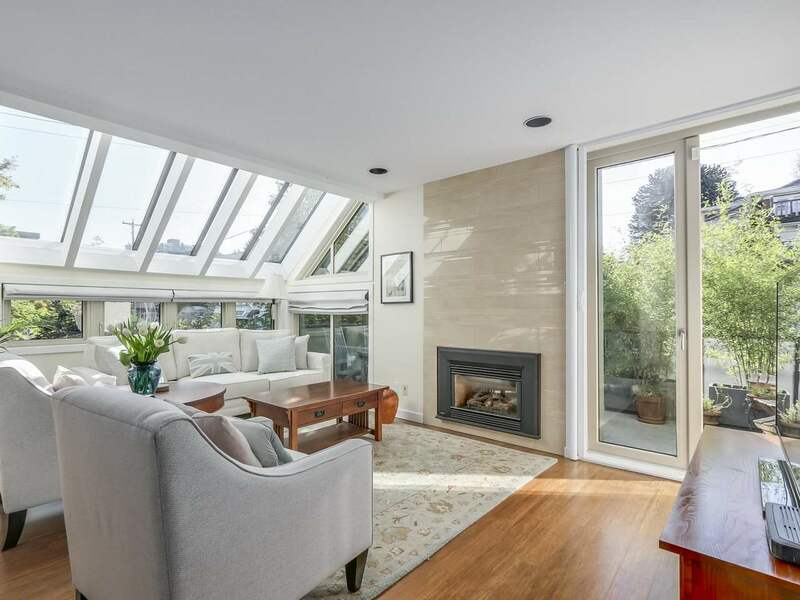 Excellent location & Amazing 1,363 square feet of quiet, luxury living with large rooms and a southern outdoor private patio, located in the south building of Wintergreen Place at Langara Estates. Fully renovated 2 bedroom+Den (or bedroom) 2 bathroom unit. Recent full renovations include new ceiling paint, wall paint, high-end laminate flooring, etc. and updated kitchen has top quality stainless steel appliances. The complex is located directly across from the Langara/29th Ave Canada-Line station which will provide easy access to downtown Vancouver, Richmond and the Vancouver International Airport. Come and take a look & Don't miss it!! Listed by Sutton Group-West Coast Realty.